Welcome to our catalogue. Please note that this is a work in progress and that editorial work remains incomplete. Currently, while record of over 750 works has been established, the locations of the majority of these are still to be identified. More information, including thumbnail images, will be made available online over time. We would appreciate any information about Louise Jopling, including the location of collections of her work. All private collection information will be treated in the strictest confidence. Contact us. Jopling 1925 = Louise Jopling, Twenty years of my life, 1867-87, London and New York, 1925. 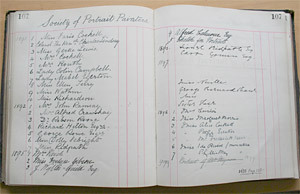 Jopling 1925 list = list of works published by Jopling as appendix to above memoir. RBA/NEAC = Works exhibited at the Royal Society of British Artists, 1824-1893 and the New English Art Club 1888-1917, compiled by Jane Johnson, Woodbridge: Antique Collectors' Club, 1975. 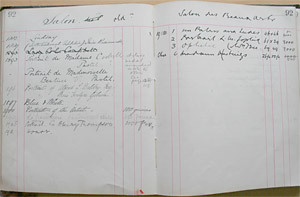 NAL = National Art Library, Victoria & Albert Museum. A more detailed bibliography of Jopling related publications can be found here.